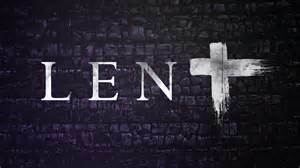 Lent is the Christian season of preparation before Easter. The Lenten season is a time when many Christians observe a period of fasting, repentance, moderation, self-denial and spiritual discipline. The purpose is to set aside time for reflection on Jesus Christ – his suffering and his sacrifice, his life, death, burial and resurrection. During the six weeks of of self-examination and reflection, Christians who observe Lent typically make a commitment to fast, or to give up something–a habit, such as smoking, watching TV, or swearing, or a food or drink, such as sweets, chocolate or coffee. Some Christians also take on a Lenten discipline, such as reading the Bible and spending more time in prayer to draw nearer to God.